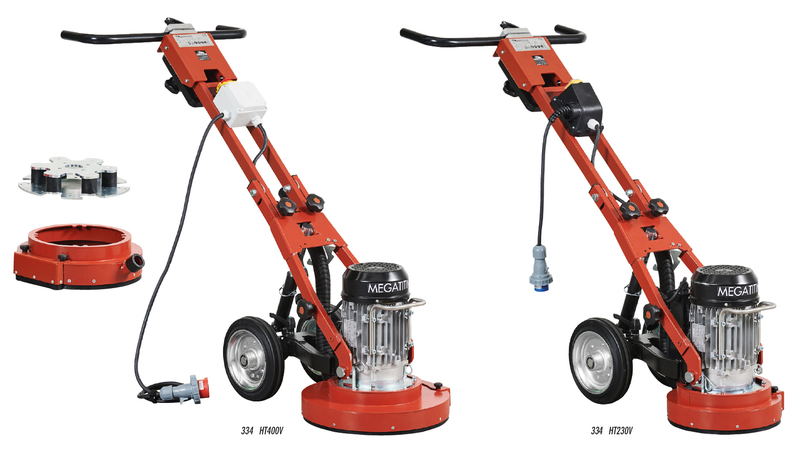 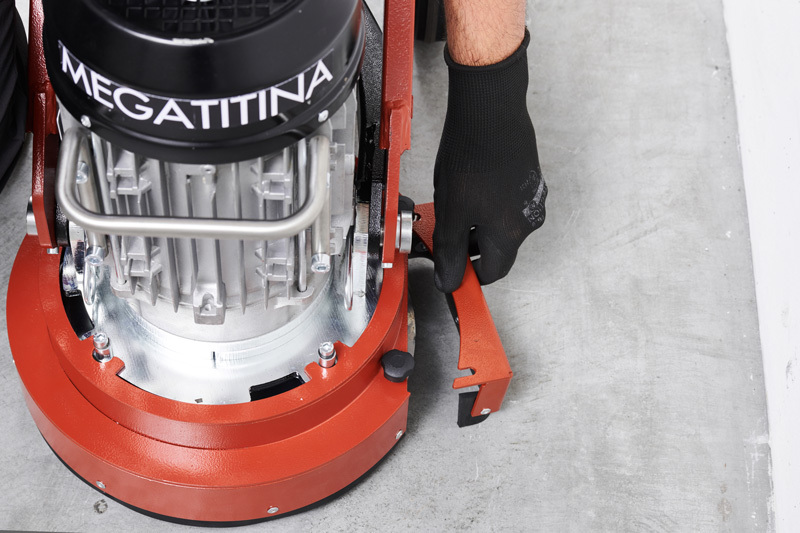 • Single-disc/head machine ideal both for scratching porcelain surfaces (but also marble, resin, concrete, etc.) 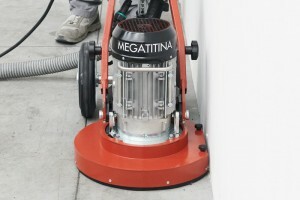 as well as for sanding and smoothing irregular surfaces. 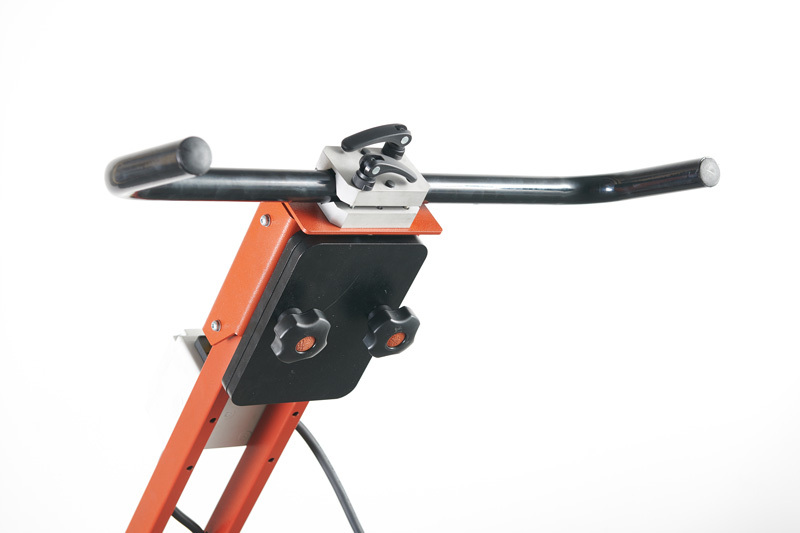 • Tiltable motor assembly for easy maneuverability and to optimize tools action. • Handle with adjustable height and oscillating grips for operator’s maximum comfort. 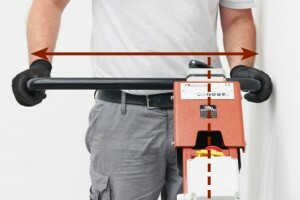 • Manico con inclinazione regolabile ed impugnature oscillanti per il massimo comfort dell’operatore. – 400 V three-phase (3P + T 16A plug) with Ø 380 mm and Ø 280 mm disc holder for segments. – 230 V single-phase with Ø 280 mm disc holder for segments. 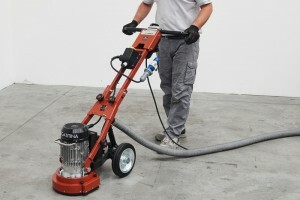 • Suction port for dust extraction. 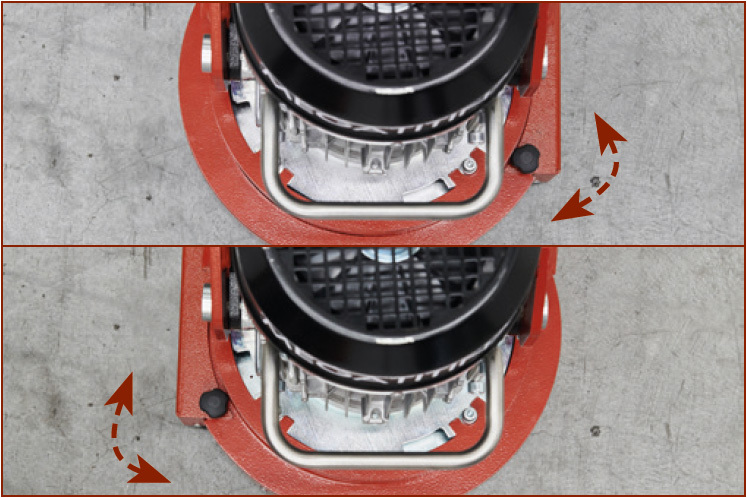 • Disc holders are suitable for tools with “Frankfurt” mounting interface (maximum 3) and for diamond segments 12×40 mm (from 3 to 6). 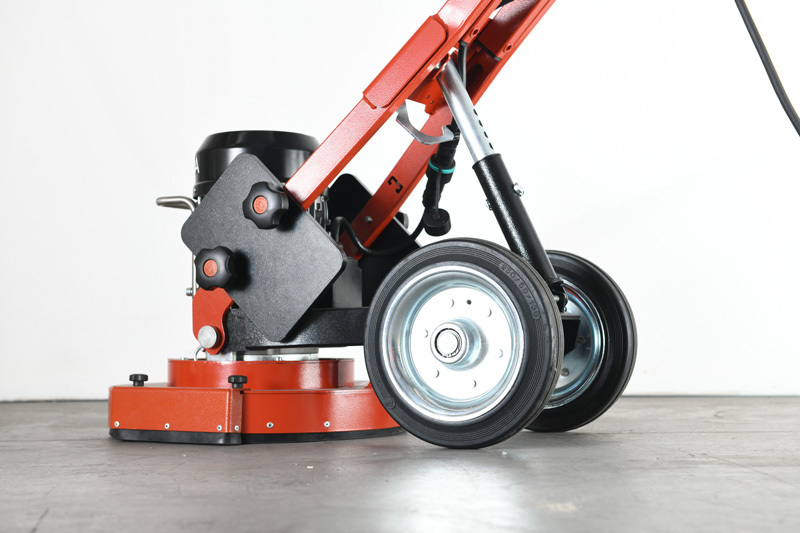 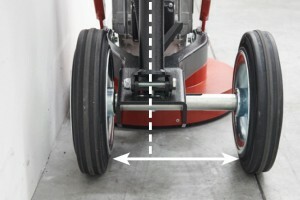 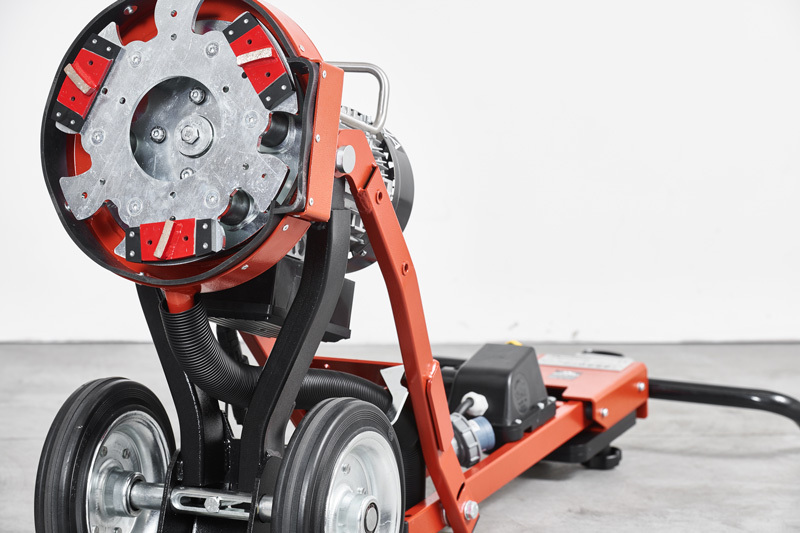 • Slinding wheels and slinding handle, in combination with the disk guard which is adaptable to any situation, allow the machine to work very close to walls. 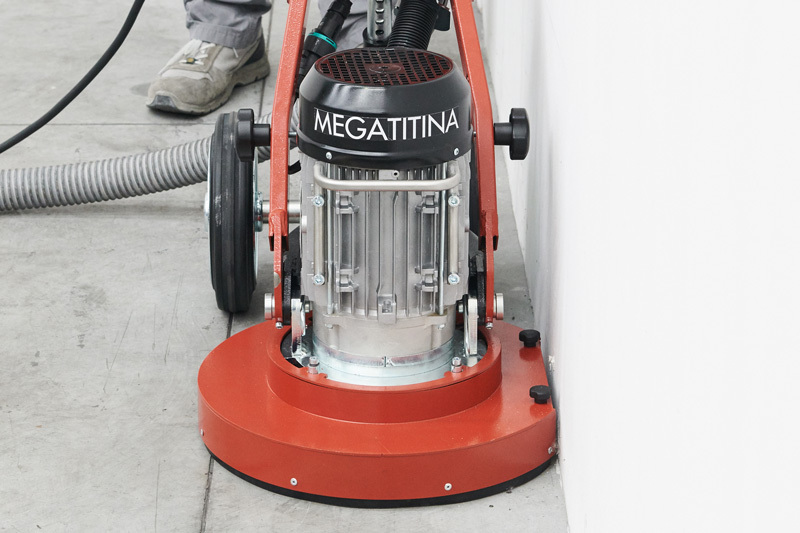 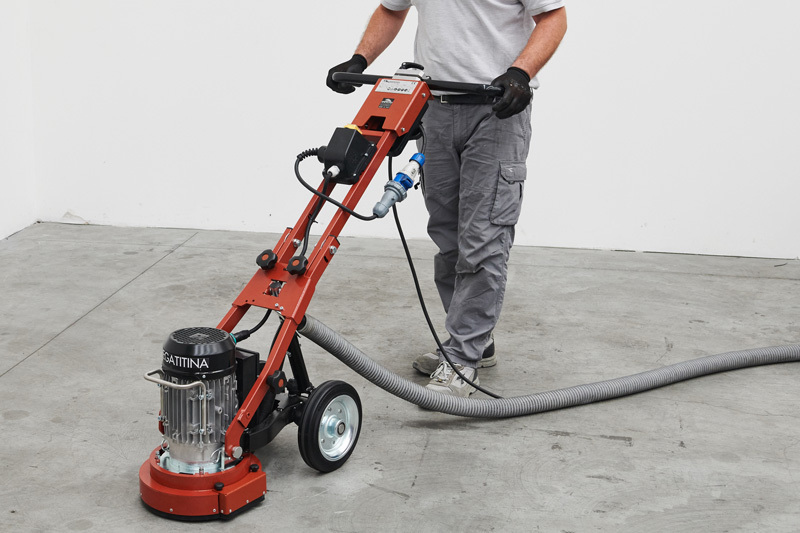 • It comes equipped with 2 ballast units (weighting 3 Kg each): they can be freely positioned next to the motor unit, behind the handle or, alternatively, be completely removable to adjust the amount of pressure to be applied on the surface. 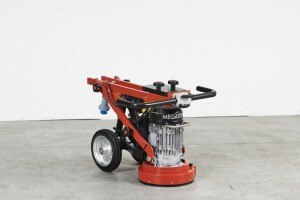 • Motor assembly can be removed from the machine frame. 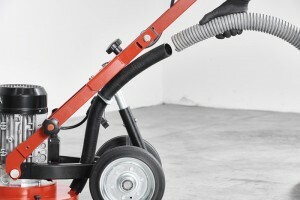 • Folding handle for taking up a minimum amount of space and easy transportation. 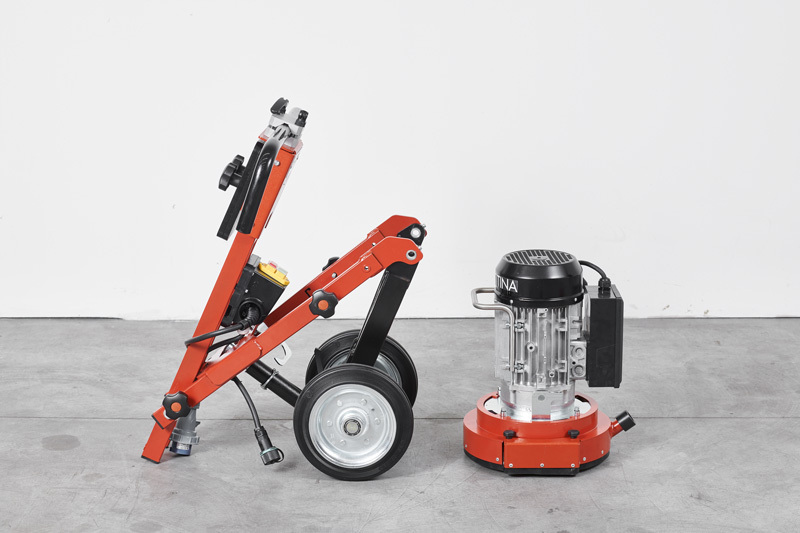 • It comes supplied with: ballast kit, wrench/tool set, segment / tool disc holder Ø 280 mm, segment / tool disc holder Ø 380 mm (only for 400 V version), use and maintenance manual.